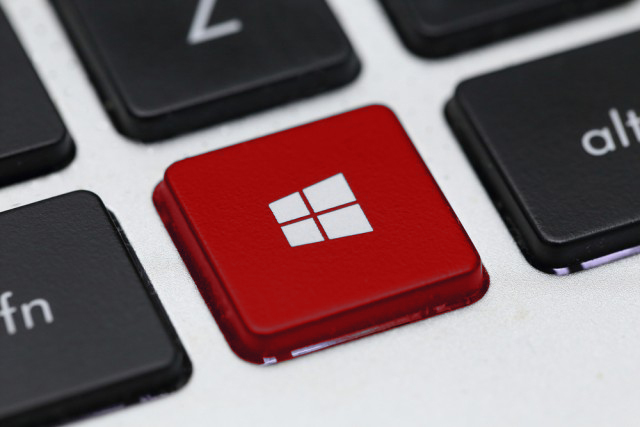 We’re edging ever closer to the release of the next big Windows 10 feature update. Rumored to be called the Spring Creators Update, it includes a number of high profile new features and improvements. Last week, Microsoft rolled out two new Insider builds -- one for those on the Fast ring, and another for those who opted to Skip Ahead (the first in the Redstone 5 branch). Today, the software giant delivers a build just for those on the Fast ring. As you’ll likely expect, with Build 17107 coming this close to the official Redstone 4 rollout, there aren’t any major new features, although it does introduce a change in behavior to Windows Update. Microsoft explains the new approach: "now when Windows Update scans, downloads, and installs on a PC with AC power it will prevent the PC from going to sleep when it is not in active use, for up to 2 hours, when receiving an update in order to give Windows Update more opportunity to succeed." Fixed an issue where Settings would crash when you tried to open Themes. Fixed an issue where the Settings tile didn’t have a name if you pinned it to Start. Updated 'About Settings' to include at a glance entries for the two new Windows Defender pillars (Account Protection and Device Security). Fixed a typo in Storage Sense Settings. Fixed an issue resulting in all drop-downs in Settings appearing blank until clicked. Fixed an issue that could result in Settings crashing after having navigated to and left Sound Settings. Fixed an issue where closing certain apps after using in-app search could result in them hanging on the splash screen the next time they were launched. Fixed an issue where plugging in an external optical drive (DVD) will cause an Explorer.exe crash. Fixed an issue resulting in the hamburger button in Windows Defender overlapping the home button. Fixed an issue where certain games using Easy Anti Cheat could result in the system experiencing a bugcheck (KMODE_EXCEPTION_NOT_HANDLED). Fixed an issue with longer-than-normal delays during install at the 88 percent mark. Some delays were as long as 90 minutes before moving forward. Fixed an issue resulting in the Windows Defender offline scan not working in recent builds. Some Insiders may have noticed a new message when holding down the power button which says "Please release the power button. We just need a few more seconds to shut down." This is an Insider-only feature that gathers additional diagnostic data for situations where holding down the power button was used to recover an unresponsive or nonfunctional system. It is important to note that holding down the power button is not the appropriate way to shutdown/reboot a system that is functioning properly. See this support page for additional information on how to properly shutdown your PC.